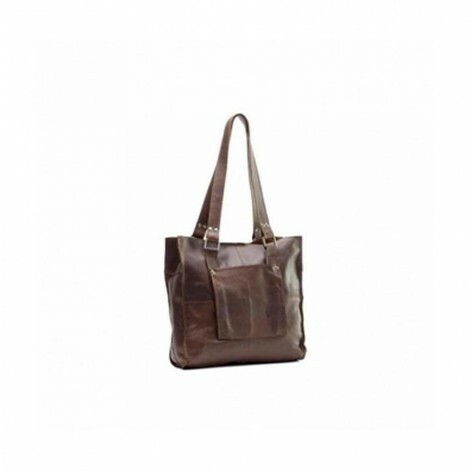 Other Features Emily Louise quality handmade genuine leather small Tote handbag. The bag is secured with a magnetic clip.It has a large pocket in the front and has 2 shoulder straps. The fittings are brushed silver. There is a horn devise logo embossed on the front.